Green building is also called eco-friendly construction or ecological construction. It is building in a way that minimises long-term environmental impacts. Green buildings are efficient in their uses of resources, particularly energy and water. They may also be less resource-intensive in terms of the materials and energy used to construct them. The ultimate green building products are sourced from natural or recycled materials and help create energy efficient buildings. Many options are available, with architects, engineers and builders often using techniques developed hundreds or thousands of years ago. They are responding to environmental concerns and the physical resources available in their local areas. Modern technologies help make the building process efficient and low cost. 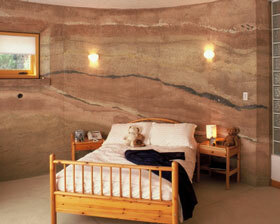 An example is rammed earth construction. Clay-based material is mixed with water and rammed into brick or solid wall form. It is suitable for hot and dry climates. Another example is straw bale houses. Bales of straw are actually used as the core structure. Straw has some excellent properties: it is a great insulator and is a breathable material that filters the air passing through. It is also cheap and fire resistant when compressed. Home builders can also opt for earth ships. These may use recycled car tyres filled with earth as the buildings walls. All these methods enable urban development to happen with a low environmental impact in the construction phase. Sourcing timber from fallen trees or from sustainable forest plantations. Building design can make a huge difference to energy efficiency. Too often, other design considerations take precedence over the environment. Coupled with sustainable urban design, green building design establishes the urban infrastructure for sustainable living. It is better for the environment if we occupy smaller spaces. Often homes have lots of redundant space. More intelligent design allows for cheaper, more efficient, lower maintenance and greener buildings. For example, homes could often do away with sitting rooms that are rarely used. Spacious bedrooms are wasteful in homes where people mainly use bedrooms for sleeping. Buildings with fewer and smaller windows can be much more energy efficient than pseudo glass-houses. So it sensible to carefully place windows where they really improve the amenity of the home. Accounting for daily and seasonal changes in light and temperature is also important in design. Generally, you want sunlight to penetrate the building early or late in the day. Natural ventilation and fans can be used for cooling. A house is easier to warm if the living areas are closed off from other parts of the house. More information on green building methods is available from the US Green Building Council.